hd00:16The beautiful and scenic Iguazu Falls on the border of Argentina and Brazil. hd00:21Jog Falls is the second highest plunge waterfall in India located in Sagara taluk of Karnataka. It is a segmented waterfall which, depending on rain and season, becomes a plunge waterfall. 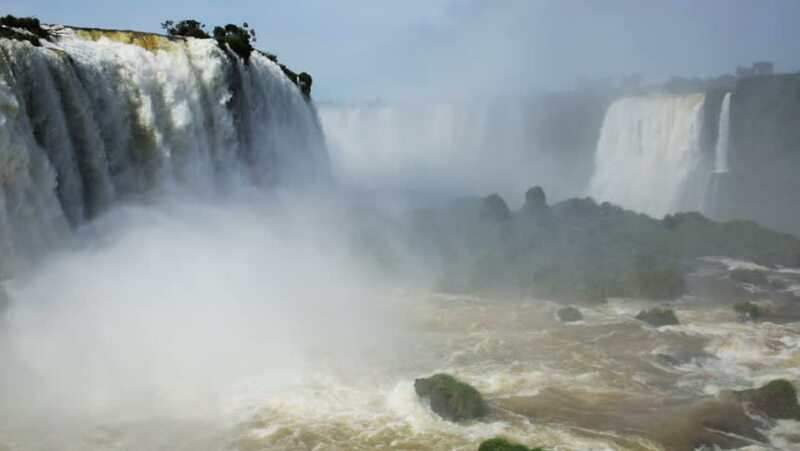 hd00:26Brazil, State of Parana, Foz do Iguacu, View of Iguazu Falls.